much to my demise, this trip of a lifetime was when i learned the physical limits of a 28mm lens. as much as i take pride in being an extremely light packer (the away carryon + kate spade weekender for a 9 day trip. BOOM. ), i do wish i had brought my automatic lens and/or one of my other manual lenses for a better range of photos. on top of that, my battery freaked out halfway through the week and my camera stopped working altogether. le sigh! i've been trying not to mix photos shot on my phone with SLR shots, but i felt the need to supplement the below list due to my camera mishaps. phone photos are in grid format for differentiation. lots of overlap with my instagram posts, so thanks for those who will indulge me. special thanks to rosa and cory for a lot of the below recos for our trip! after 6+ years, finally a trip back to paris, one of my all-time favorite cities in the world. it was paul's first time visiting, so i was excited to show him what i remembered of the city. paris in my younger 20s pre-social media was quite a different experience. what was once a trip full of brasseries, bistros, patisseries, and vintage shopping was replaced with concept retail stores, foodie restaurant picks, and art galleries. while i did miss the "old" paris a bit, it was fun re-discovering the city with paul this time around. with the exception of cabs to and from the airport and the metro once when it rained, we got around by bike the entire week. getting lost in the winding streets of the city, discovering new neighborhoods and residential areas that no blog, travel guide, or content site could have led us to—this is why they say the best way to get around paris is by bike. my favorite travel bag by my haerfest buddies in the courtyard of our awesome airbnb studio in le marais. we lovedddd staying here for the first leg of our trip. boutique shopping and gallery hopping in our 'hood. totally packed these tights thinking they were black. made the mistake of packing my intimates bag the night before our flight, after our office halloween party! oh dear. 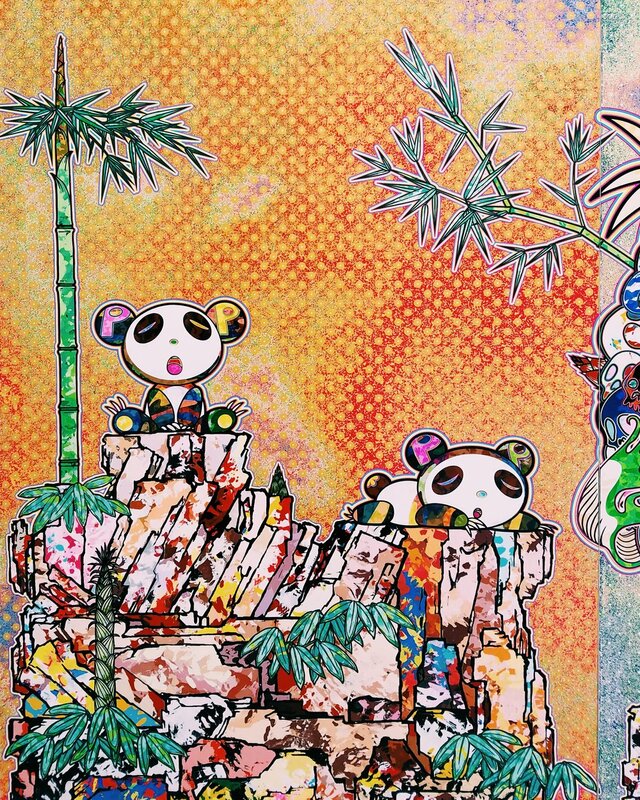 i’m a huge fan of takashi murakami's work, so galerie perrotin was a must for me personally. 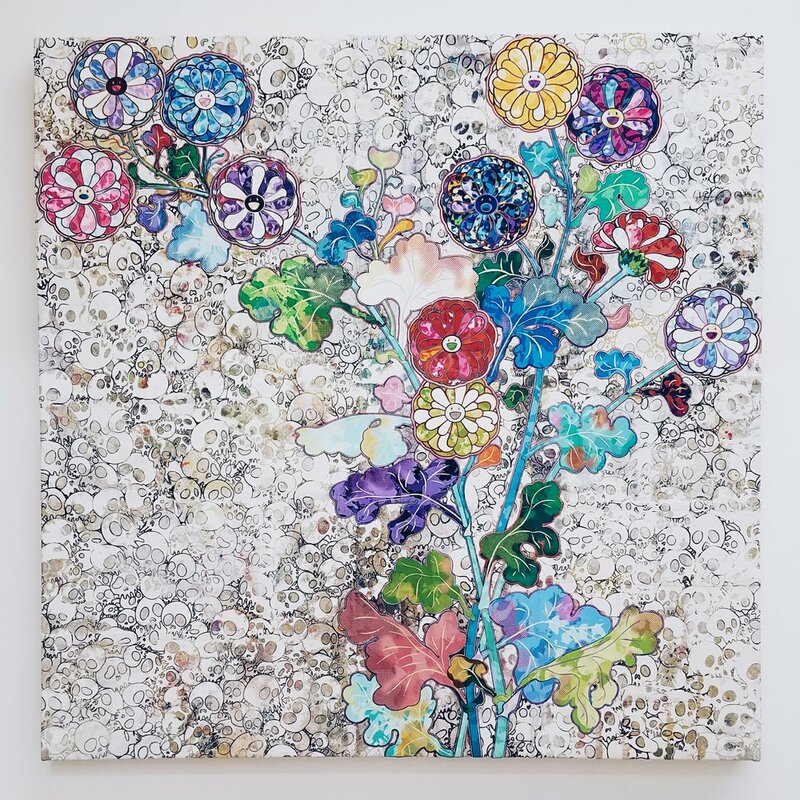 it's unimaginable that what looks like layers upon layers of collage work is actually paint, and of course being a color theory nerd, i was intrigued by his wild use of colors. the merci store in the marais was very interesting. also love that their proceeds go toward education in madagascar. 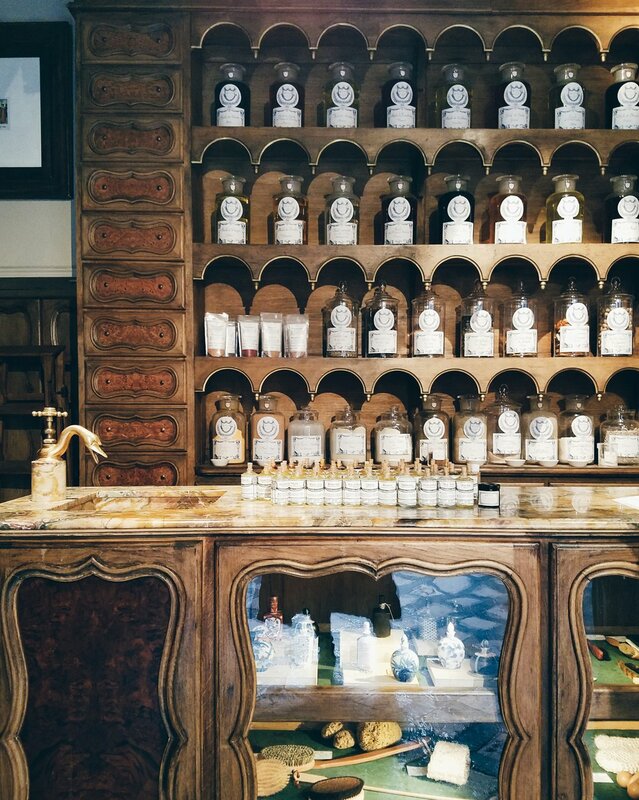 the officine universelle buly 1803 was magical. custom water-based (!!) fragrances, badger hair toothbrushes, hand carved wood combs—gah! we spent way too much time and $ in this store, although it was worth every penny. crazy locks of love, not to be confused with pont des arts bridge, which removed all of the locks earlier this year. see my first journal post for a snap of the original pont des arts bridge in 2010! so few locks, it was very pretty. cafe oberkampf was really yummy. reminded me of two hands in new york—gotta love that hipster australian breakfast. 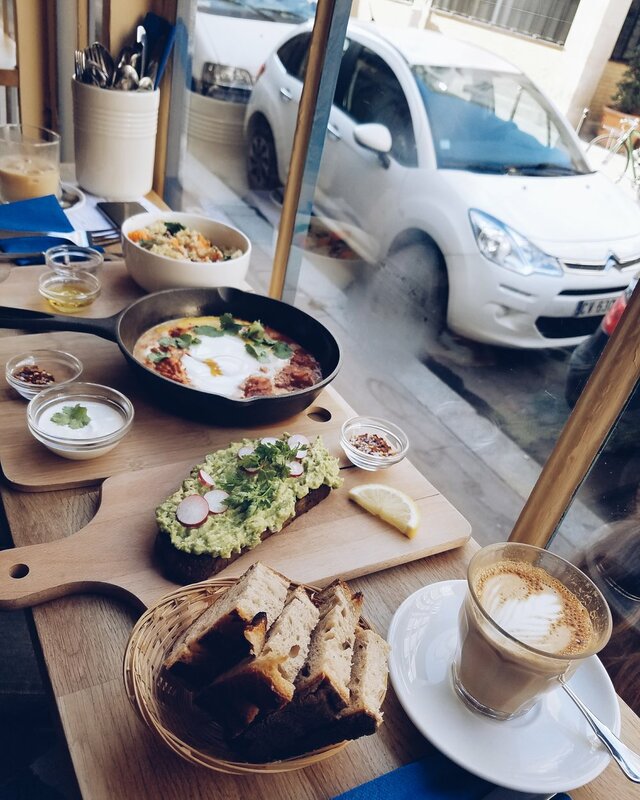 the shakshuka, avo tartine, and couscous salade were all really tasty. 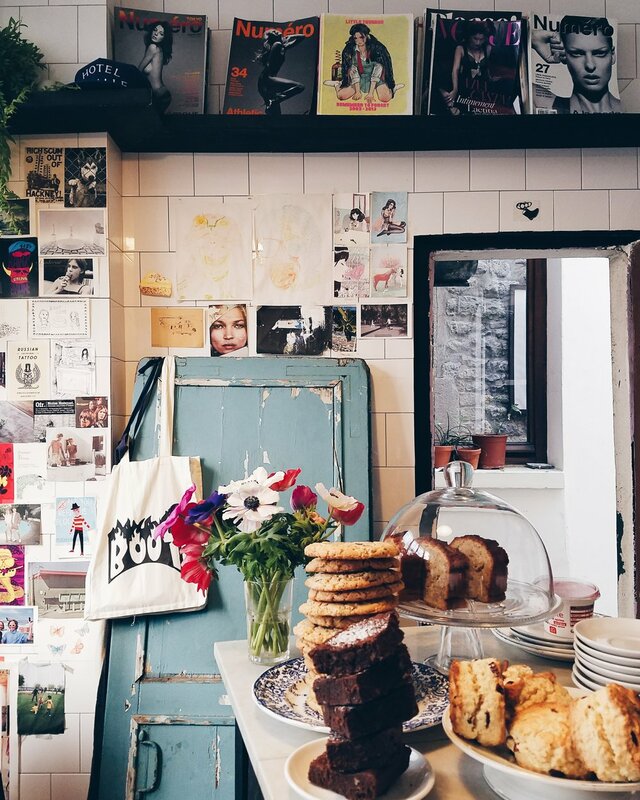 we were lucky to stumble upon the adorable (and delicious) boot cafe around the corner from our airbnb. the line for holybelly was too long, so we happily got pastries at liberté around the corner instead. ace! aux deux amis—small plates but super yummy dinner. we had the serrano ham, beef tongue, veal with sardines, endive salad, and risotto were all fantastic! the bizarre line/waiting situation for ober mamma was a little off-putting, but i must say it was certainly worth the wait. the beef carpaccio, big balls, truffle pasta (gah! ), and the lemon burrata pasta, were all soooooo so so so good. fingers crossed they expand to new york??? alléno paris in the pavillon ledoyen behind the petit palais. our culinary splurge of the trip—3 michelin star meal was a once in a lifetime experience. stunning and thought-provoking flavor combinations. so grateful for this opportunity. 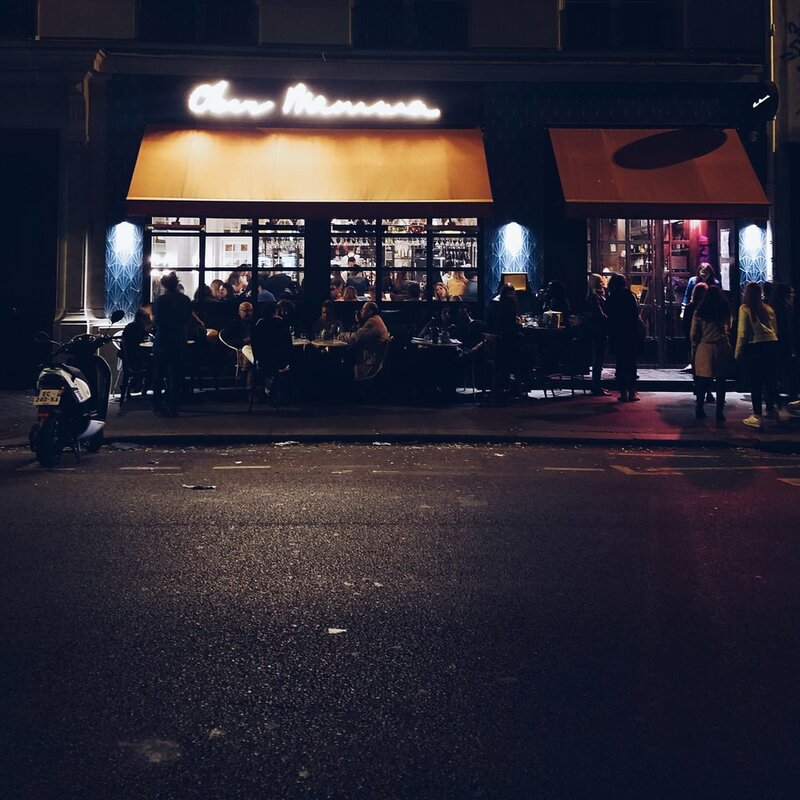 la palette for casual french, not too far from officine buly! i had the shrimp salad and paul had the sea bass which were both great, but the table next to us had croque madames which looked reeeeeeally yummy too. little red door for a speakeasy experience. their menu is really cool—they had different artists illustrate interpret certain cocktails so you can order based on the illustration or by the ingredient list. moments before a group of pickpockets warned us to look out for other pickpockets. we trust no one! and were also fine because we were hyper vigilant after this encounter. comfort first. barney's hat (similar), kenzo sunglasses, coat from korea c. 2002, comme des garcons shirt men's darth vader sweater, aritzia jeans (similar), nike free connect kicks.